There are certain things we notice about celebrities on the red carpet, like their bronzey glow, perfectly coifed hair, and airbrushed makeup. Another noticeable feature that always catches our eyes? Their long, doe-like lashes that no tube of mascara could possible sculpt on its own (as much as we wish it could). Enter false lashes, which we feel confident saying just about every single celebrity wears. Honey makeup artist Aidan Keogh recently confirmed this for us saying that he "always, always" applies false lashes on his clients (an amazing roster, which includes Kendall Jenner and Jasmine Sanders), but not the strip lashes you may be thinking—individual lashes. (Though he does occasionally cut strip lashes in half and discards the inner short end, tilting the outer end up to give a descended eye a "lift.") When I asked him which brand is his go-to, he laughed, saying he hits up a wig store in New York City called Kikko: "I love these lashes because they are European, natural hair, and they look super natural and featherlike, plus the actual individual sizes are perfect for every eye shape." They're also a mere $20 for 12 packages, though unless you're in the area, they're going to be hard to get your hands on. 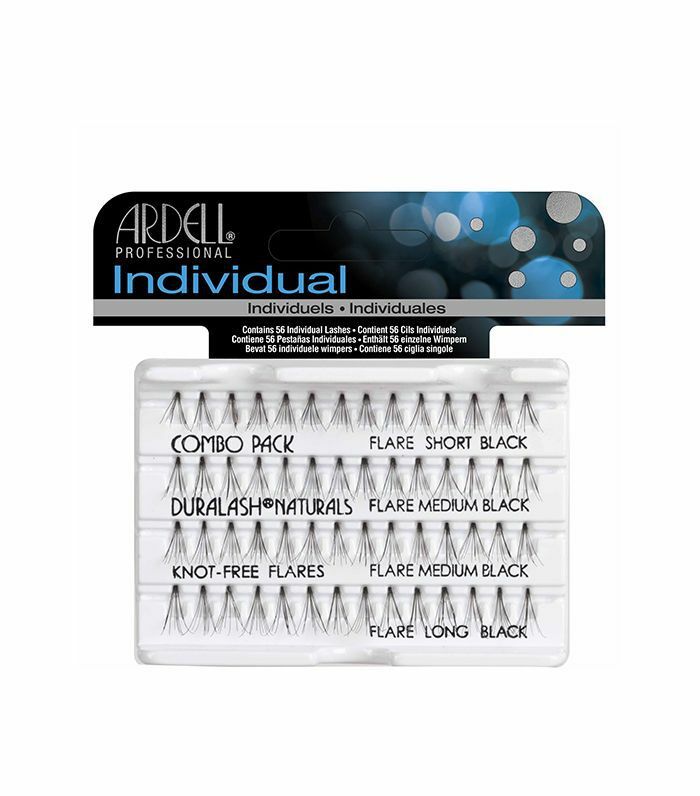 But even when Keogh's run out of his trusty lashes, he's found comfort in Ardell's tried-and-true individual lashes, which give a similar femme, wispy look. All of this begs the question: How do you perfectly apply these tricky little lashes? Keogh says it's quite simple, actually. "I always use dark Duo glue ($6). I don't like to see the white dots drying at the base of the lash—the dark one dries black." For the application, he curls the lashes with a lash curler first, and then he applies mascara to build out the lashes before application. Next, he applies the glue to the lash strip and grabs the tips of the hairs with tweezers to lay against the natural curve of the real lashes, pressing into the root. Keogh also doesn't use the same size lashes for the entire eye and instead follows the natural progression of lashes: short lashes toward the inner corner of the eye, medium lashes in the center, and one long piece at the end to lift the eye. If you want more of a va-va-voom look, you can also layer the lashes. Shop more of our favorite individual lashes below! House of Lashes has made its brand's literal business to deliver high-quality falsies at an affordable price. 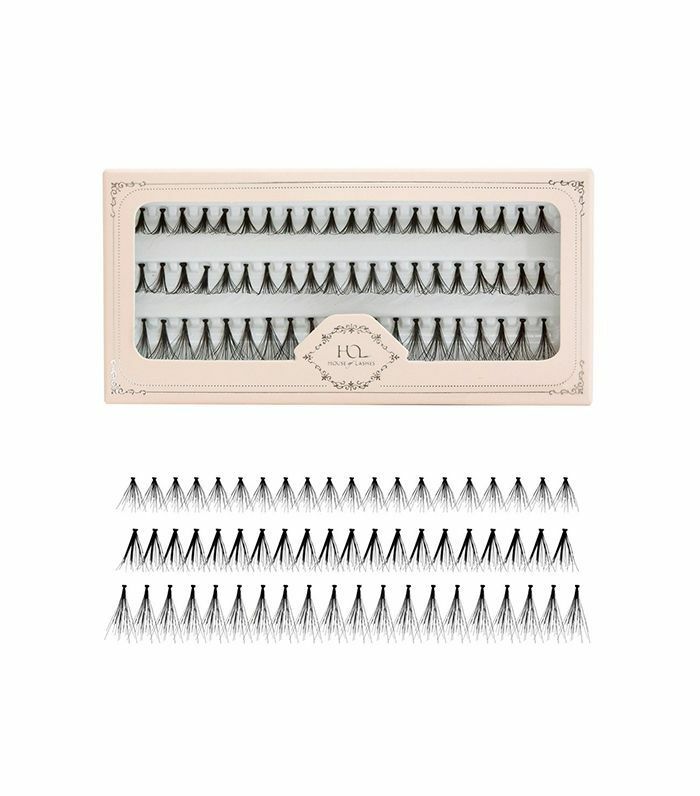 Case in point: this multi pack of short, medium, and long lashes (perfect for Keogh's method of application) made of 100% real human hair. While it may look intimidating, this lash "gun" is super easy to use and delivers fluffy, flirty lashes in a "flash" (it's a perfect name, if you ask us). Nervous about jumping on the falsie bandwagon? 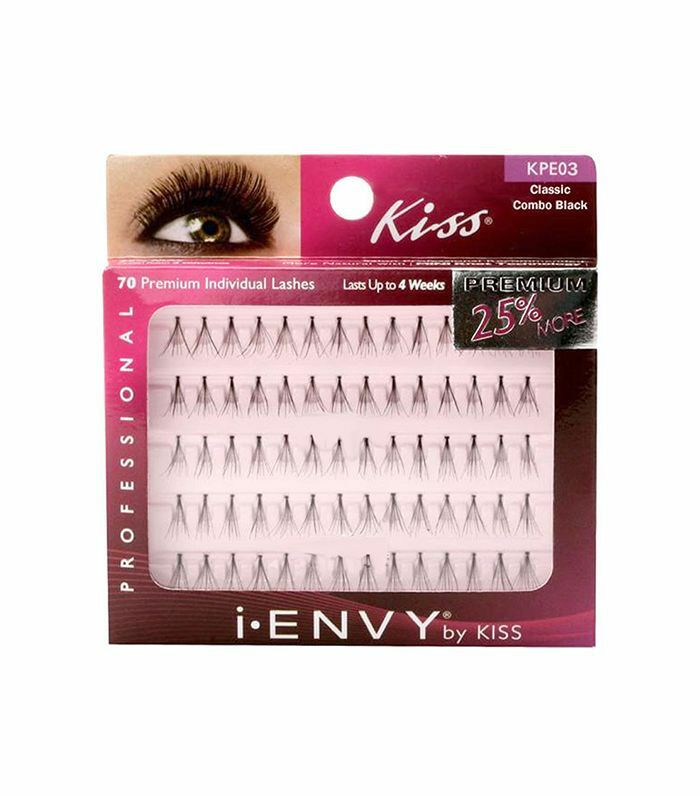 Try these feather-light lashes from Kiss that allow you to fill in lash gaps and achieve a more subtle, natural look. What's your take on false lashes? Yea or nay? Please sound off below!